The morning tide was going down a lot--by 4 feet--so I decided to do some fly fishing at one our favorite spots on the flats. As I got to the parking lot there was another fly fisher guy setting up and he headed out to the right so I went left and in a few minutes I selected my spot and set up to cast. The wind was down and the sun was just starting to rise when I finally began to fish. 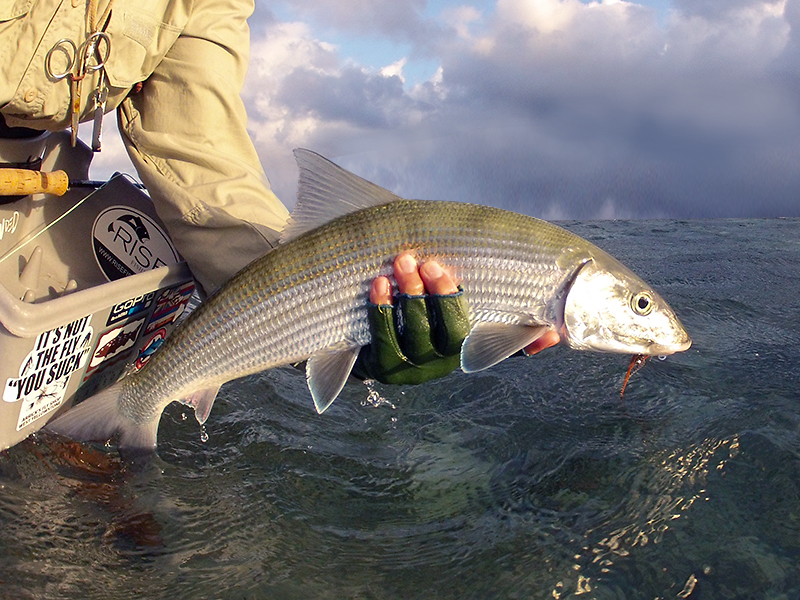 I was on my fifth cast when I hooked into a decent bonefish, putting a good bend on my Sage 7 weight rod. The line went screaming out of the reel but I knew I could make this fish run because I was well inside the main reef. The fish made a few runs and then came to hand and after a few pictures it was released and I headed for The Rock. I climbed up and scanned the area. 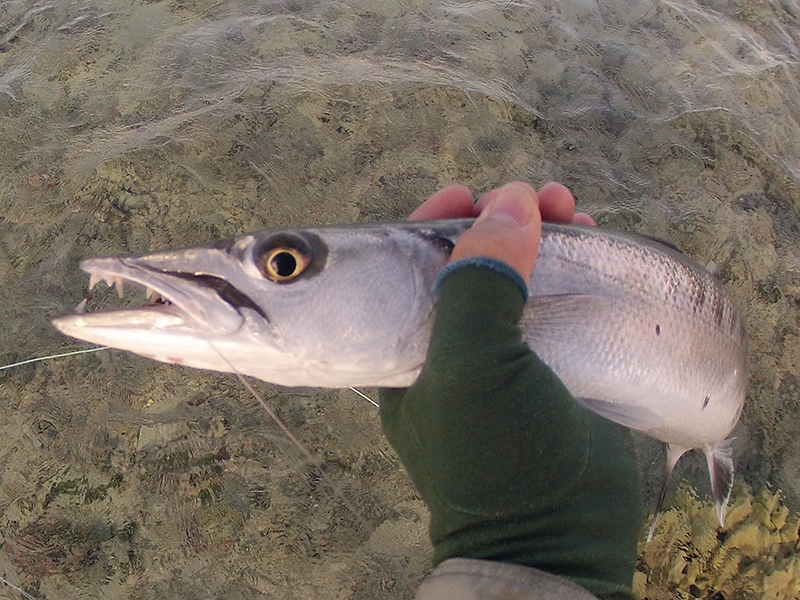 I saw a lot of fish swimming through the sand highway so I made a cast and hooked up to a decent barracuda, my first one on a fly rod. I released the fish and made another cast and hook another one. I caught a few more other reef fish before calling it a day and headed back to shore. EQUIPMENT: Eric used a 7 weight rod and floating line with an aggressively tapered leader and heavy tippet.